Although water retention may be the symptom of a more severe medical condition, it is most often the result of a female issue -- menstruation. Arising approximately a week or two prior to a woman's period, premenstrual water retention can make you feel stodgy and unfeminine. Herbal remedies may help ease these symptoms, but you should always discuss them with a doctor. Green tea is a popular herbal beverage and weight loss supplement. Unlike other types of tea, green tea is made from unfermented leaves, so it contains the highest concentration of potent antioxidants called polyphenols. The University of Maryland Medical Center notes extracts of green tea are shown to boost the metabolism and stimulate fat burning. Because the herb is naturally caffeinated, it has a diuretic effect on the body, which helps reduce water retention through increased urination. 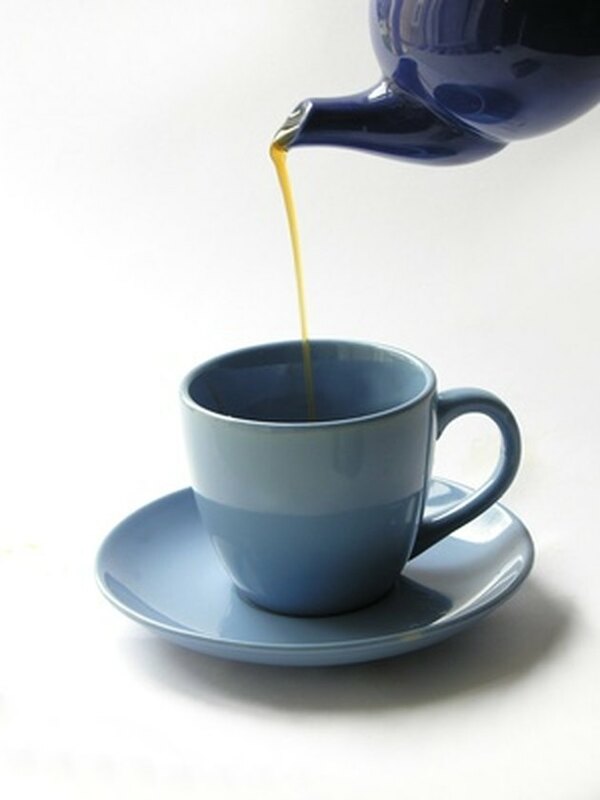 For best results, choose standardized extracts of green tea in dosages of 100 to 750 mg daily. In tea form, 2 to 3 cups daily is recommended. Talk to a health care professional before using green tea, particularly if you're sensitive to caffeine or using other medications. Stinging nettle is a common weed boasting spiny hairs on its leaves and stems, which hold chemicals that are used as medicine. European uses for the herb include treating joint pain and ridding the body of excess water. As a natural diuretic, the plant is often used to treat common urinary problems associated with enlarged prostate. To prepare as a tea, pour hot water over 3 to 4 tsp. of dried leaves or dried root and sip up to 4 cups daily. UMMC recommends drinking additional water with the tea. Talk to your doctor before using stinging nettle to decrease water retention, as the herb is unsafe with some drugs. The dandelion plant is widely known as a common yard weed, with pesky yellow flowers that can overwhelm your lawn. A longtime herbal remedy for digestive disorders, swelling, skin problems, fevers and diabetes, dandelion plants are treasured by herbalists for their manifold medicinal and culinary uses. The roots hold antiviral properties; the flowering tops contain antioxidant properties; and the leaves produce a diuretic effect, which helps reduce bloating. In dried leaf infusion form, pour hot water over 1 to 2 tsp. and consume the tea up to three times daily. Talk to your doctor before using dandelion, as allergic reactions may occur. Before using herbs to treat water retention, make sure your symptoms are not the result of a serious medical condition. Other causes of water retention include liver or kidney disease, problems with your lymphatic system or congestive heart failure. Certain medications might also promote water retention. Talk to your doctor to rule out these causes.